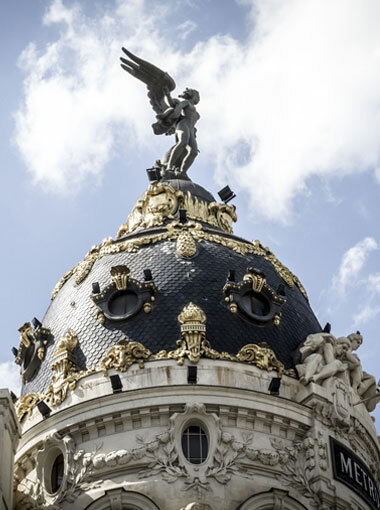 Madrid is an elegant city, not only because it is the official residence of the Spanish Royal family, but also because it is the home of world renowned museums. It appeals to those who fancy quality shopping and great night entertainment. Madrid’s cultural charm attracts art connoisseurs who come from all over the world to visit over 20 fine musems, such as world-famous Prado Museum, Thyssen-Bornemisza Museum, Museo Nacional Centro de Arte Reina Sofía, to name just a few. This city makes a great location for all sorts of business events. Thanks to its excellent infrastructure, Madrid regularly hosts top international congresses and conferences. It is also the seat for many Spanish companies. But besides business, Madrid has a lot more to offer. Feel the local vibe at a corrida or at a Real Madrid game. To relax, take a boat in the Retiro Park or simply mix with the locals and enjoy a fun night at the Area Plaza de Santa Ana.